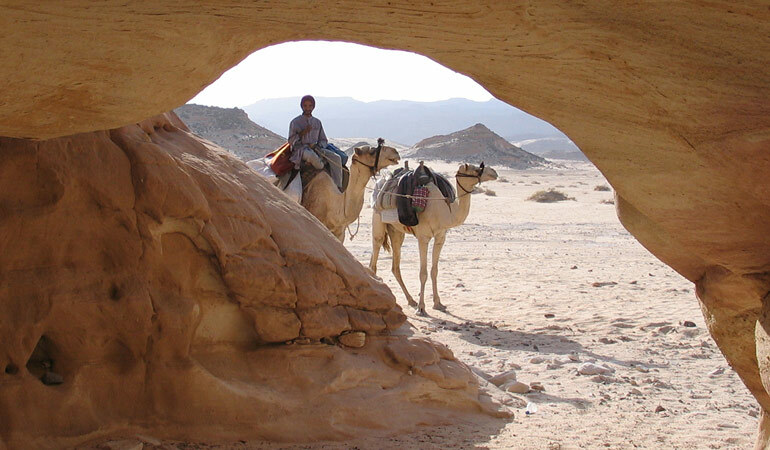 The Camel Pass is a two day camel safari taking you into the open plateau of Barqa, int eh heart of the Sinai Desert. 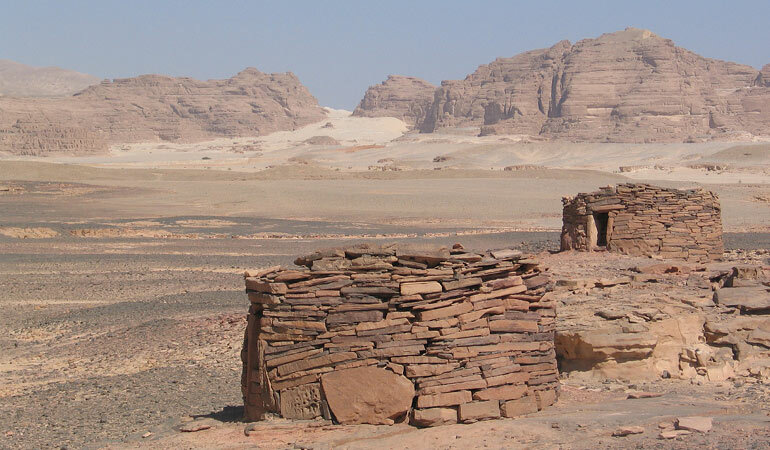 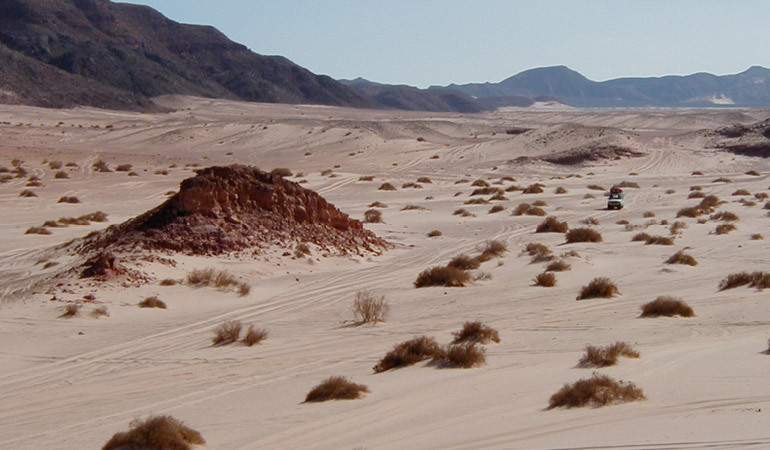 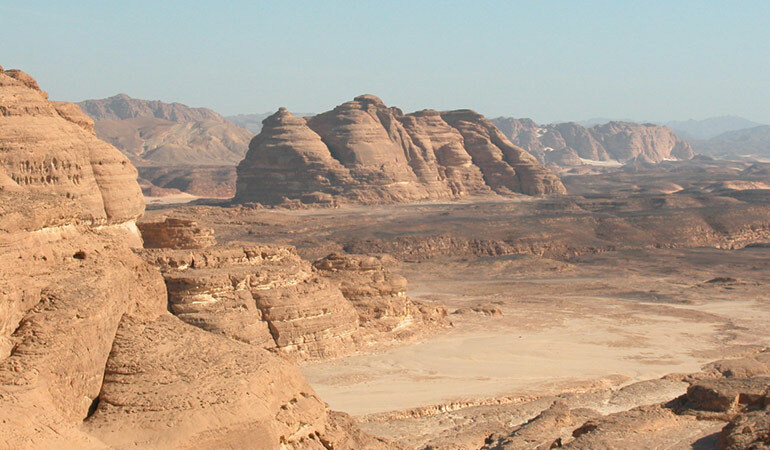 Visit an array of historical and geological wonders, whilst learning about the history, culture and daily lives of the desert dwelling Bedouin people, who still live in these remote regions. 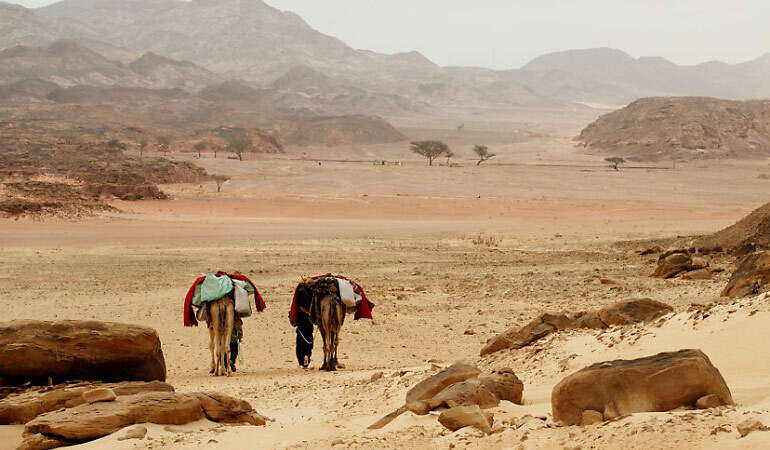 Camel Trekking is the ultimate way to discover all that is the desert, the rhythm of the camel stride, the tranquility and peacefulness not to mention to the stunning landscape can only really be appreciated when travelling by camel. 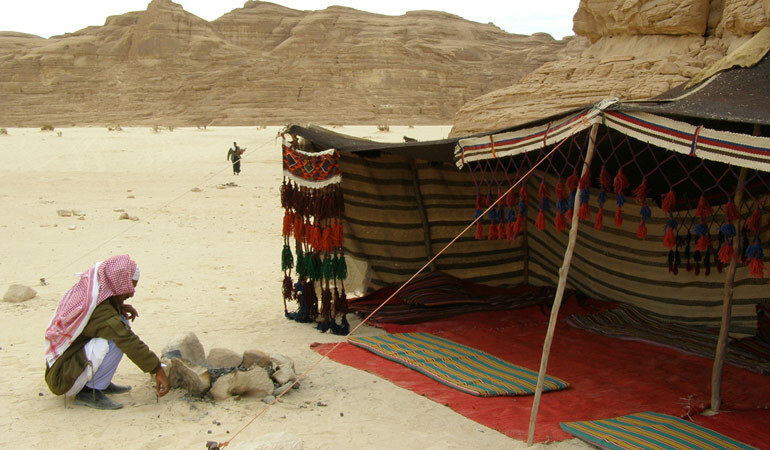 The Camel Pass visits the ancient bronze age tombs of Nawamis with a stop off to drink tea with the Bedouin families, the highest sand dunes in Sinai and also to the top of mt Matamir for spectacular panoramic views of the valleys below. 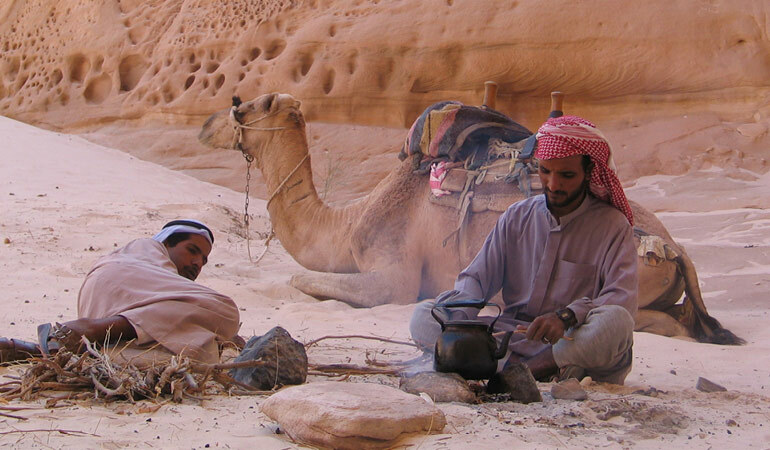 Whether you are a seasoned traveler or a green horn in the desert this tour will transport you into another world filled with tradition and heritage, you’ll swap stories around the campfire and sleep under the starry desert sky in traditional Bedouin fashion. 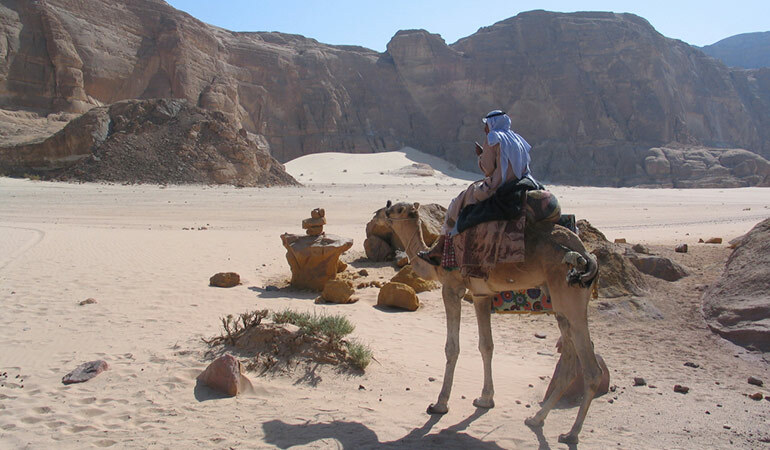 This trip starts in Dahab or Sharm el Sheikh, with an earlier pick up time for guests in Sharm.